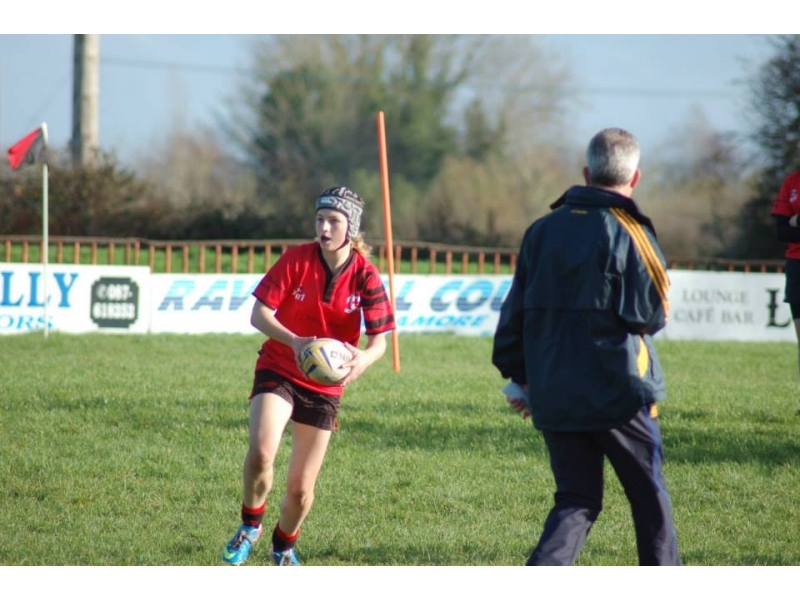 Thanks to Alma Egan for the photos & Odhran Mc Intyre for the report. 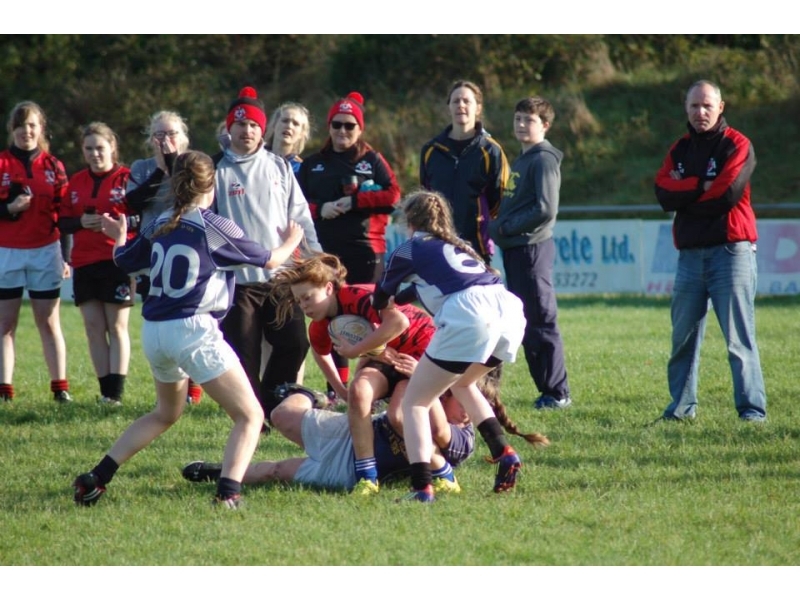 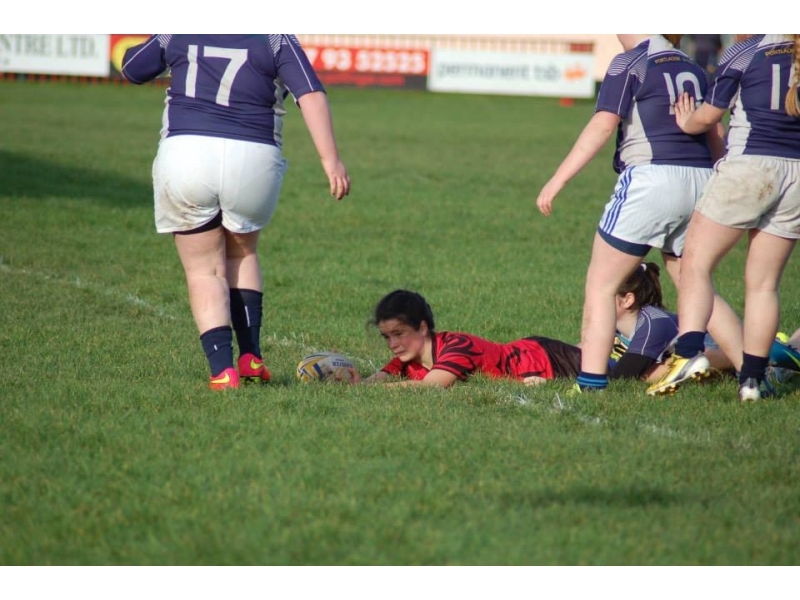 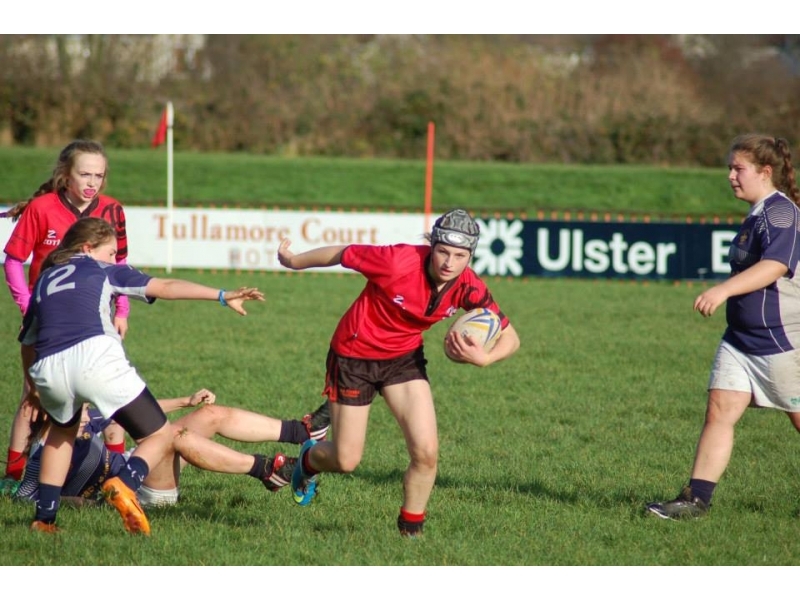 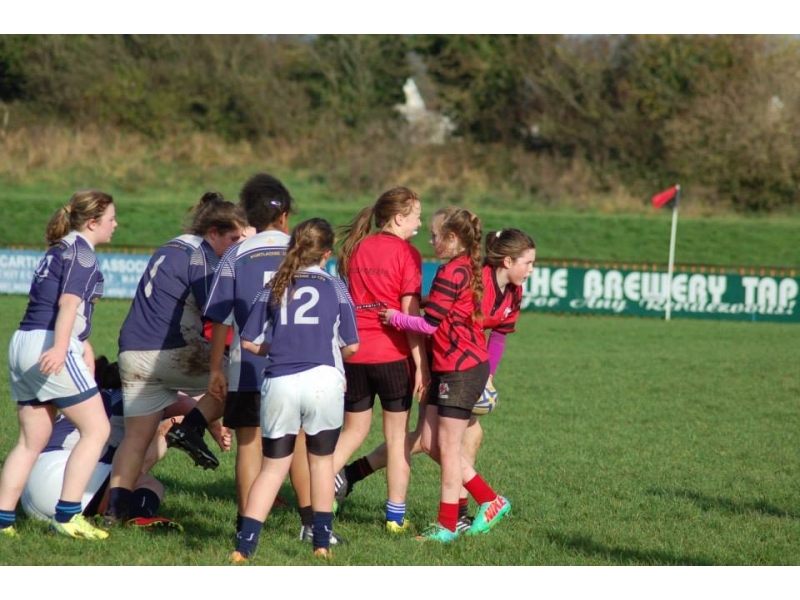 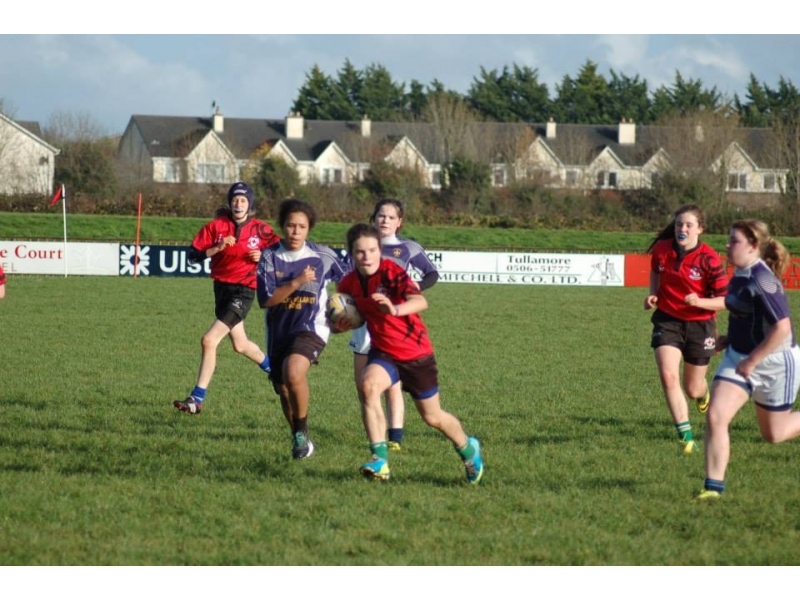 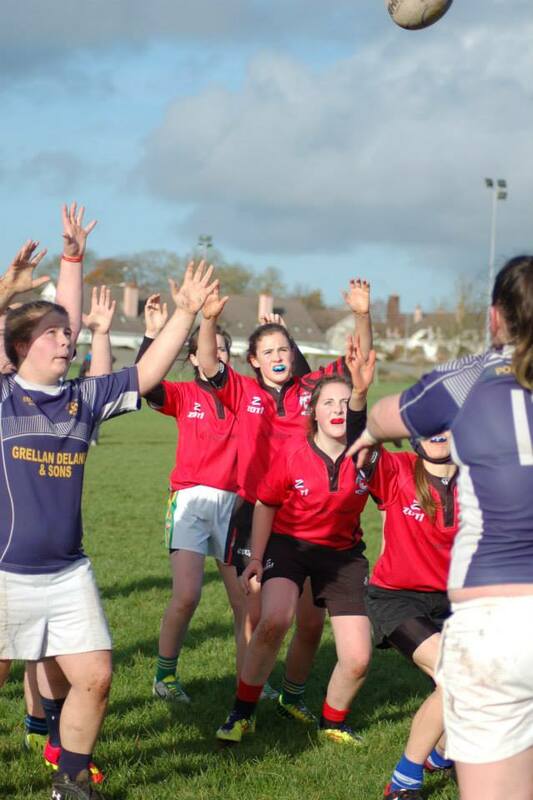 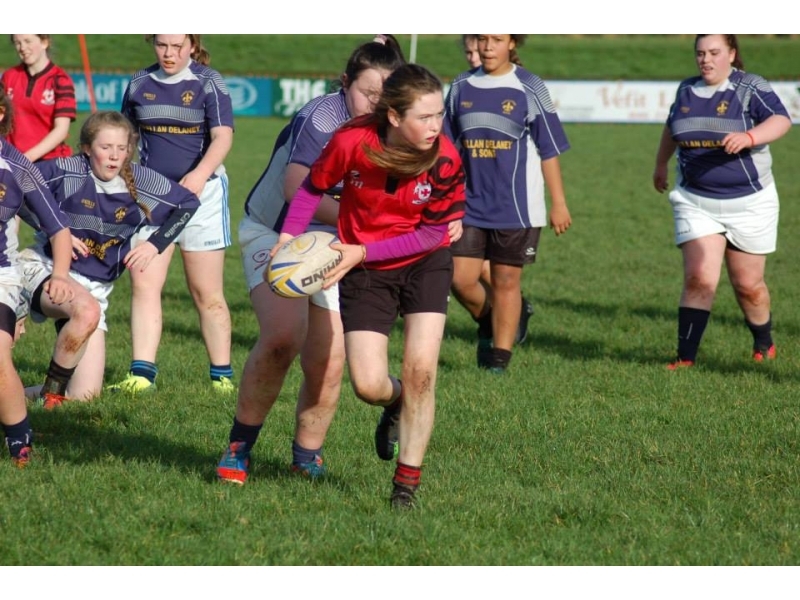 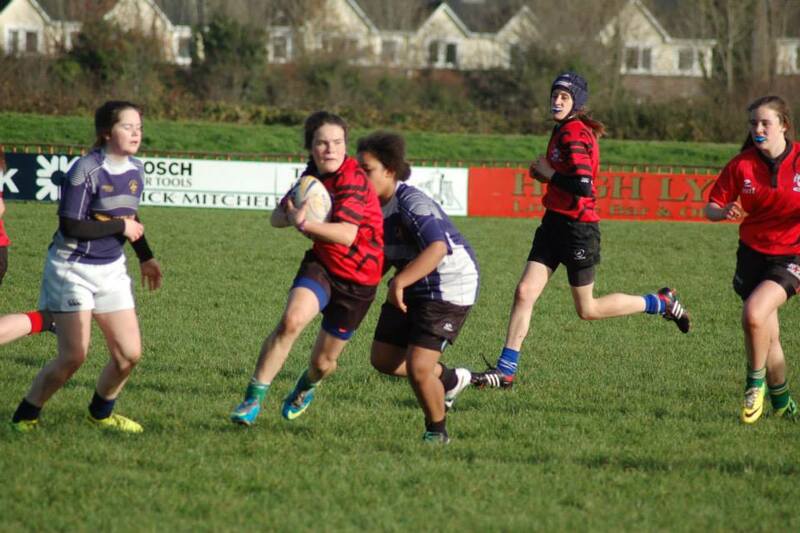 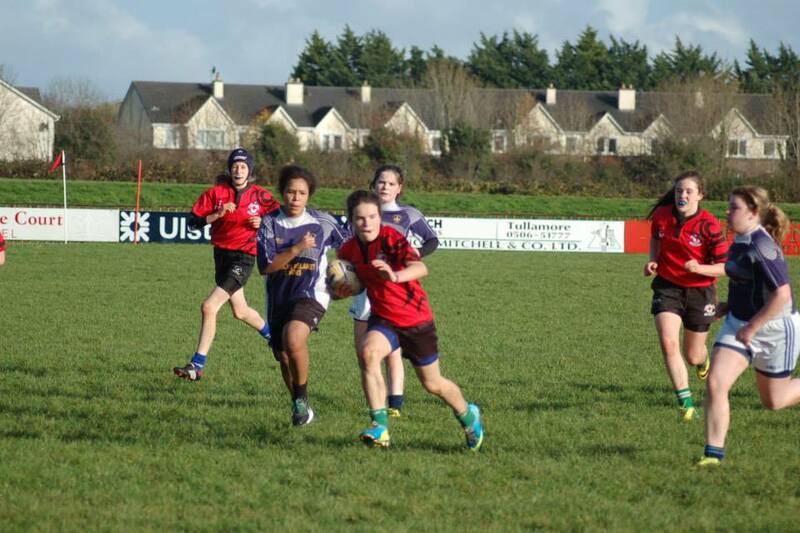 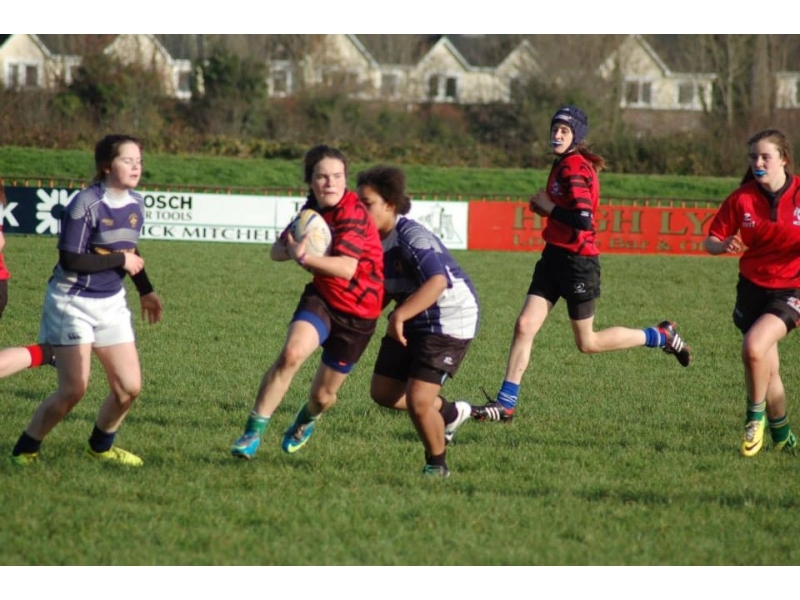 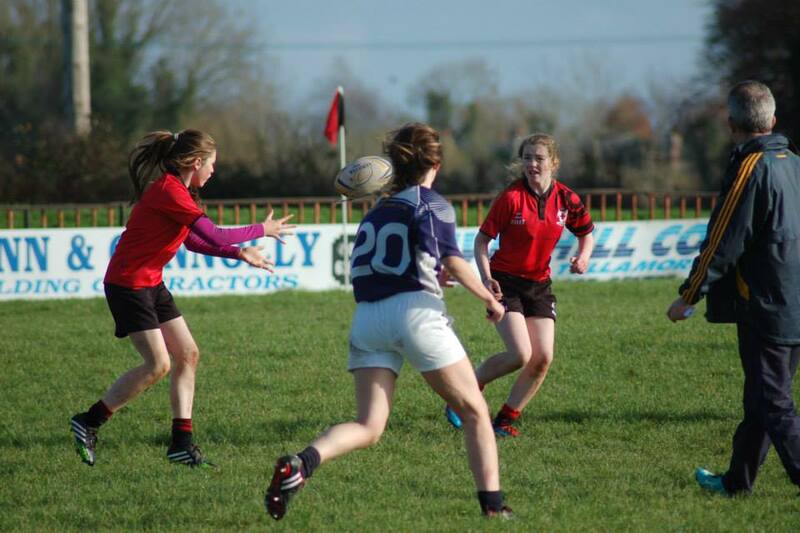 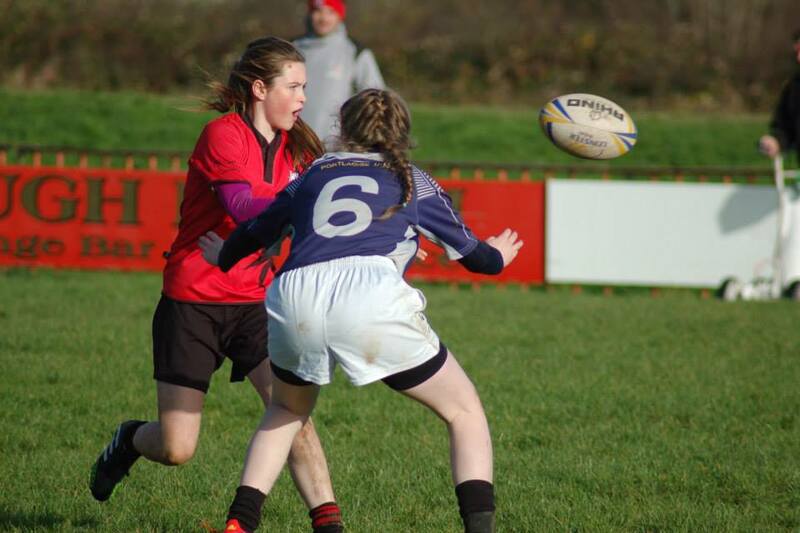 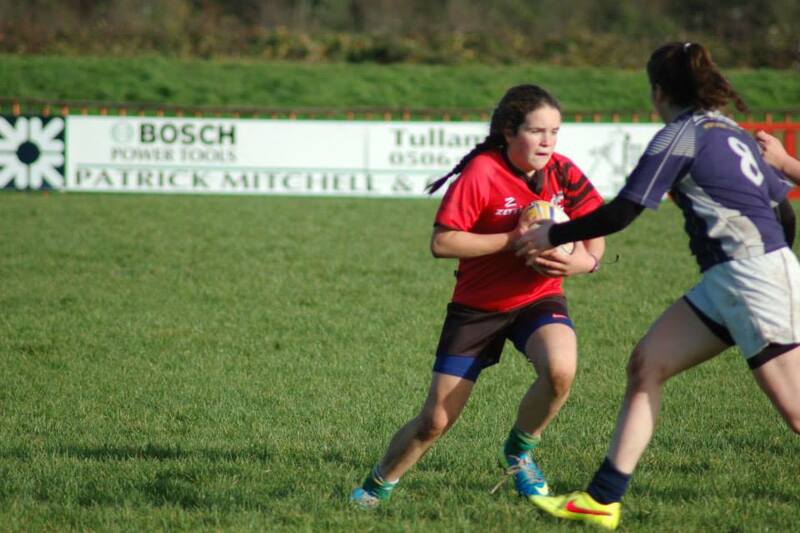 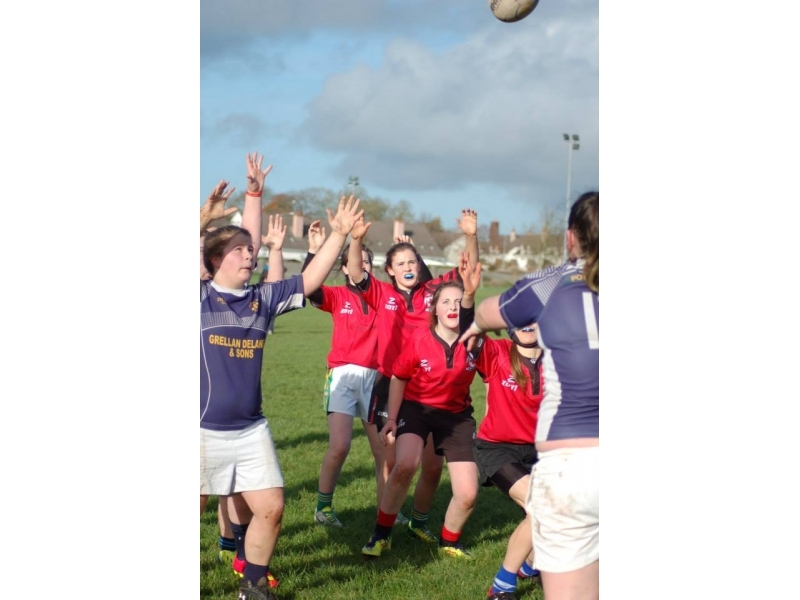 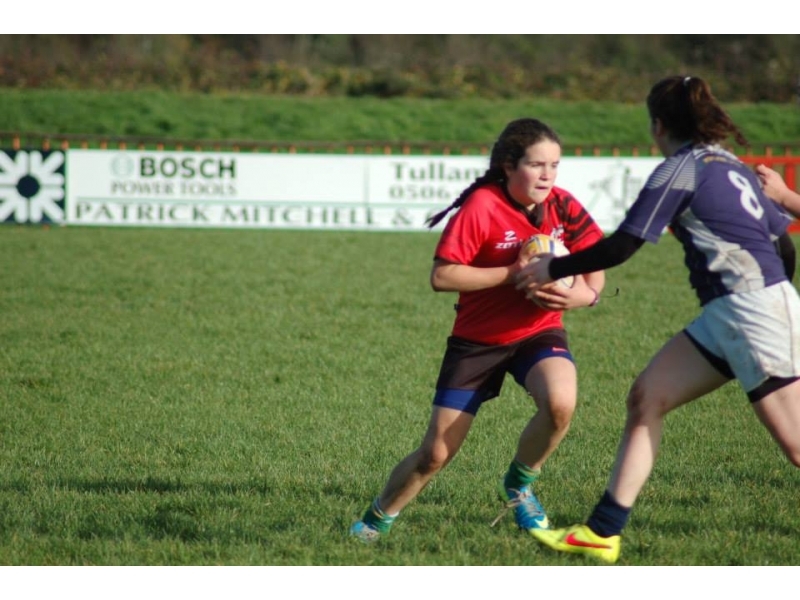 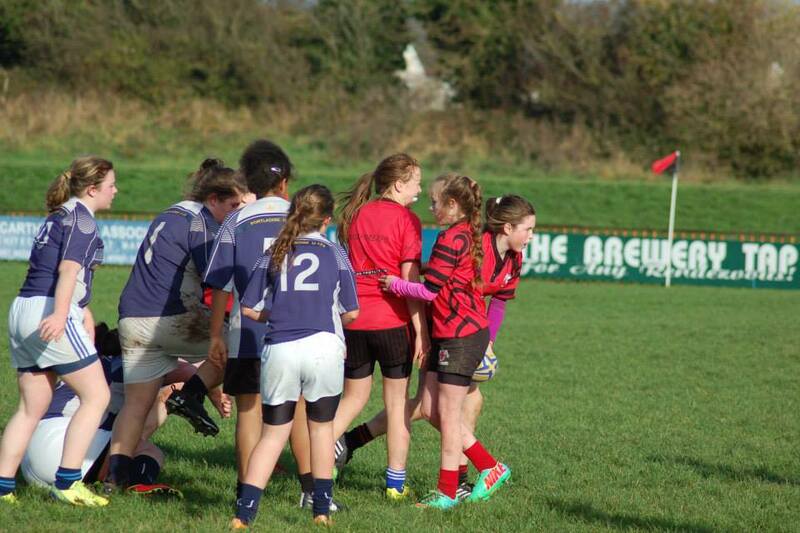 Tullamore U15s recorded another marvelous win in Spollanstown on Saturday against a spirited Portlaoise team. 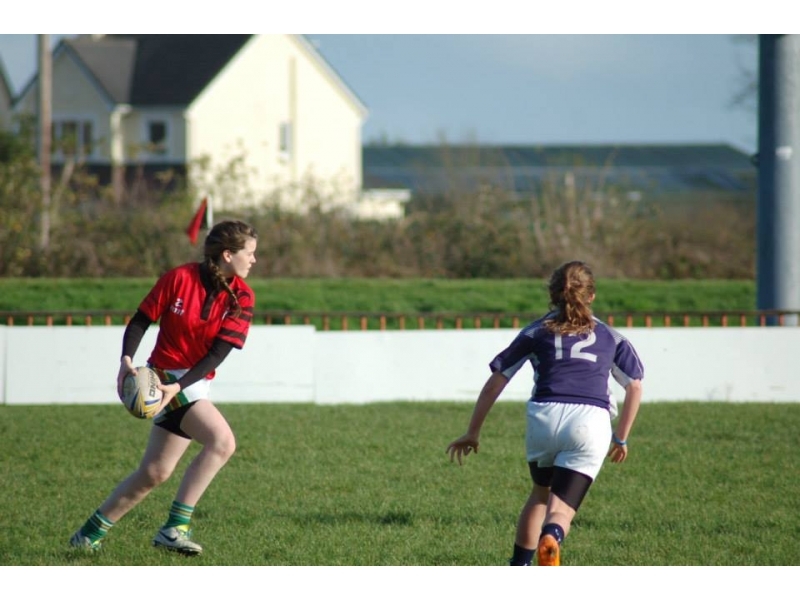 Portlaoise started brightly and physically imposed themselves at the start of the game but once Tullamore settled down they began to show their class. 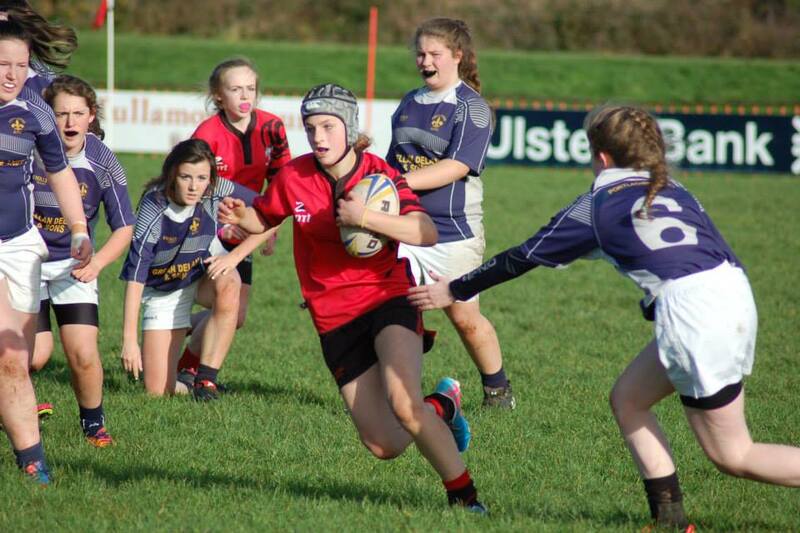 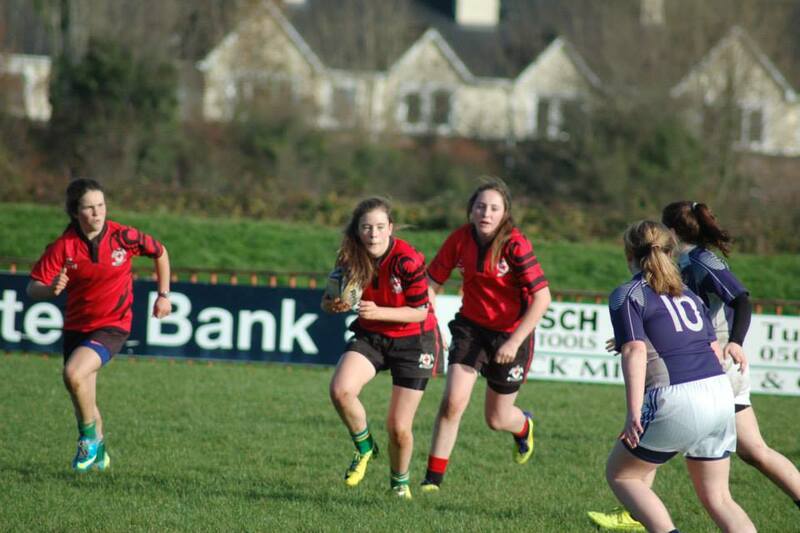 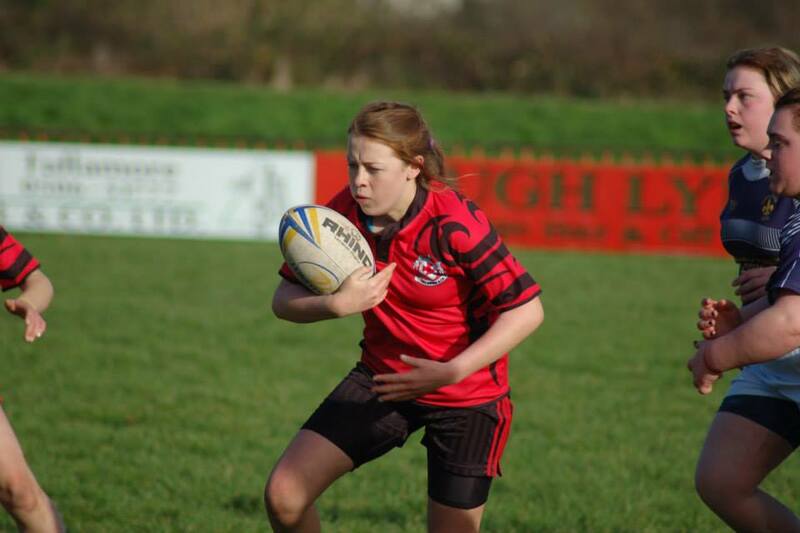 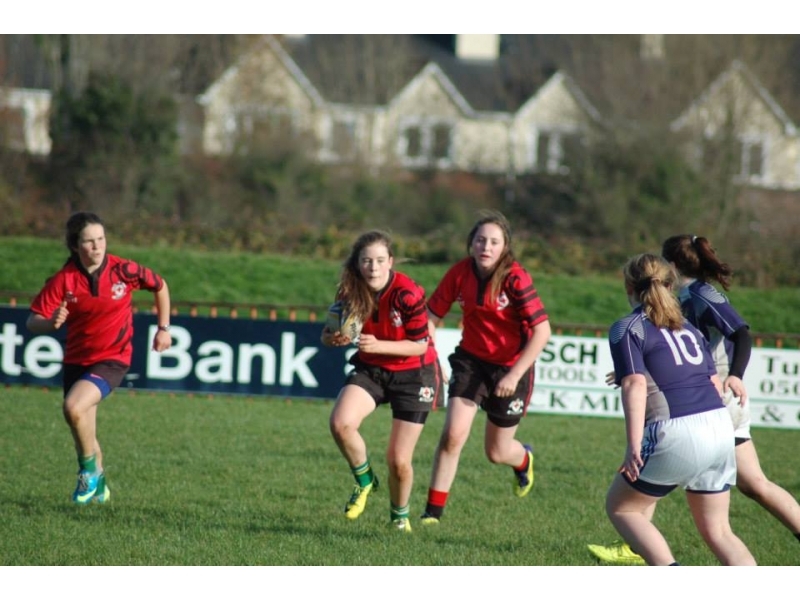 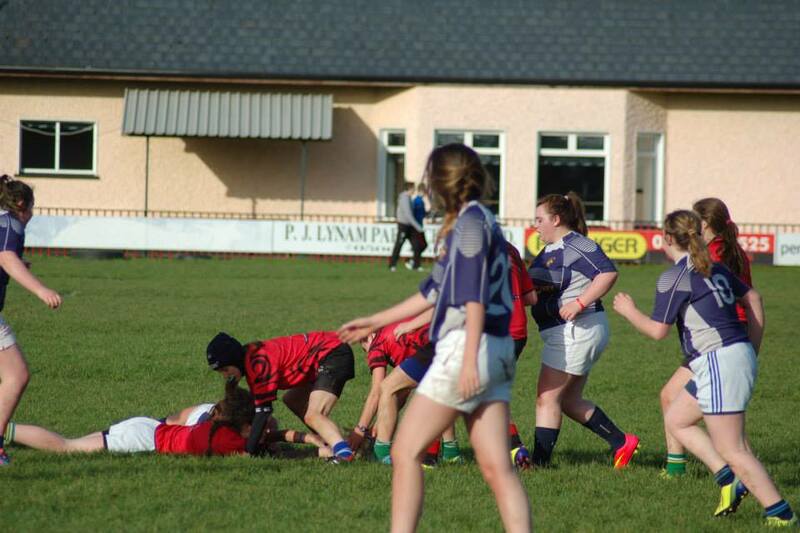 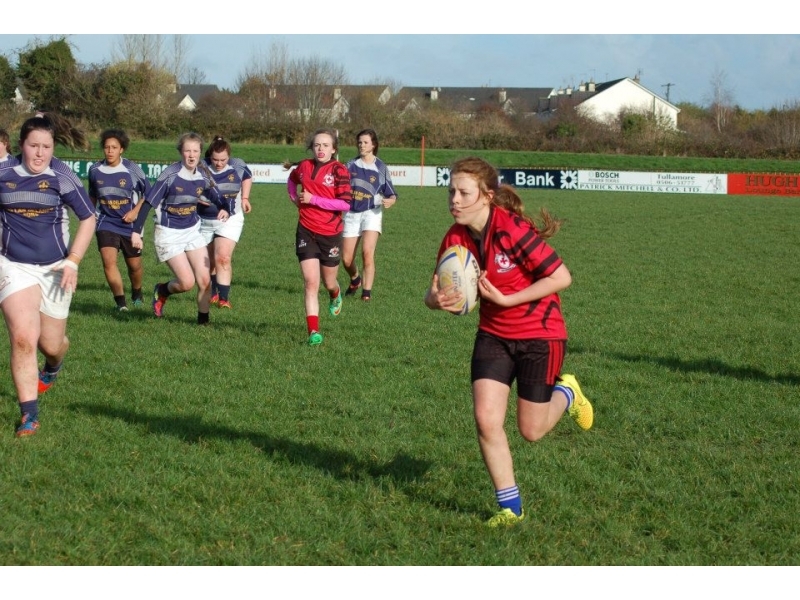 It was after a number of free flowing passing movements that led to Tullamore’s 1st try as Megan Burns burrowed her way over for the try. 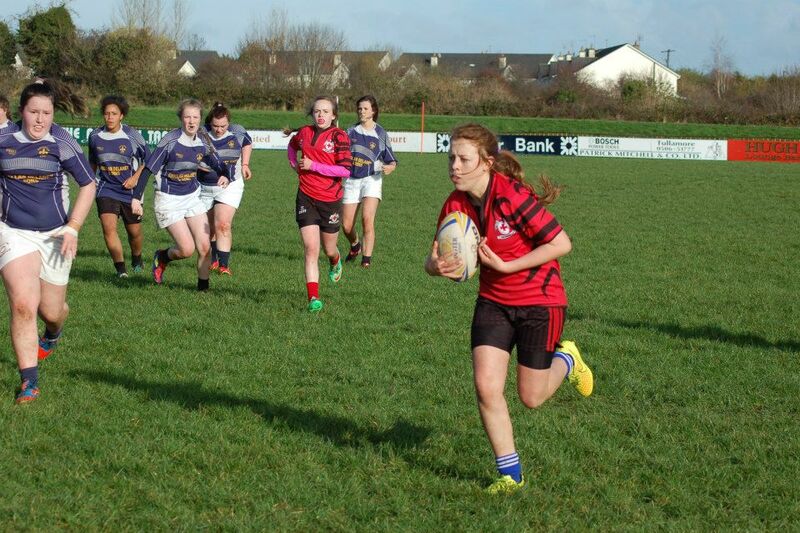 Burns fallowed up with a second shortly after and when a slick passing move the width of the pitch releases Ciara Milner down the wing Tullamore had their 3rd try! 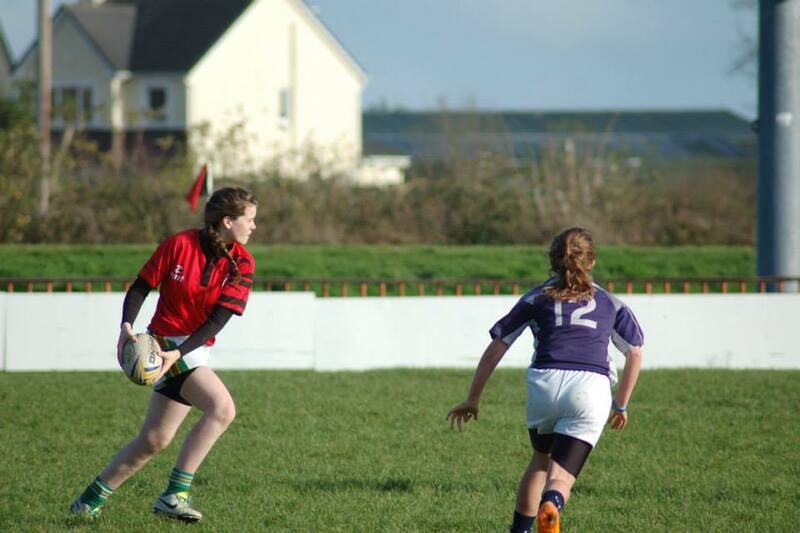 Tullamore’s defense was spectacular in the early stage not giving the Portlaoise side an inch. 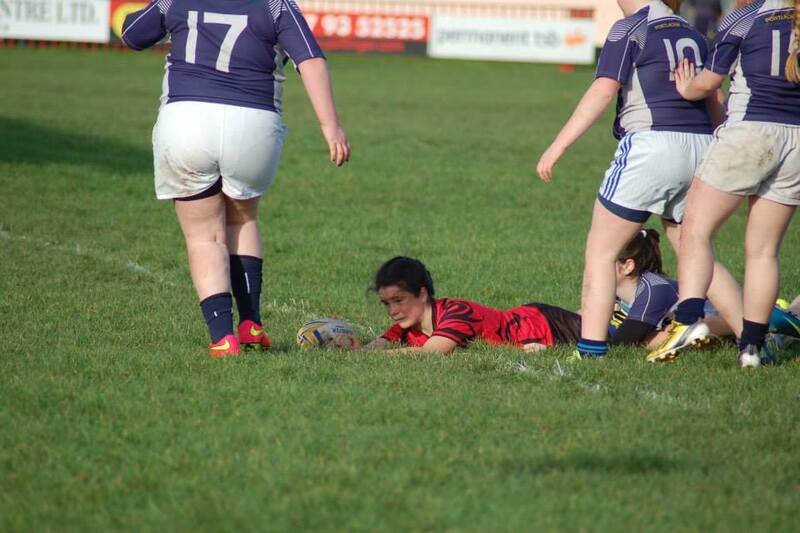 Milner grabbed her 2nd try close to half time and just before the half time whistle and from the restart to Milners try Tullamore scored a try which epitomised their work rate all game long Centre Kate Fox clearance kick was chased and gathered by Megan Burns just as she looked like she would pick up a well deserved hat trick she was hauled down just short of the try line but a silky offload while lying on the deck sent Jane Waters over the whitewash for a brilliant try after tracking Burns run for 40 metres. 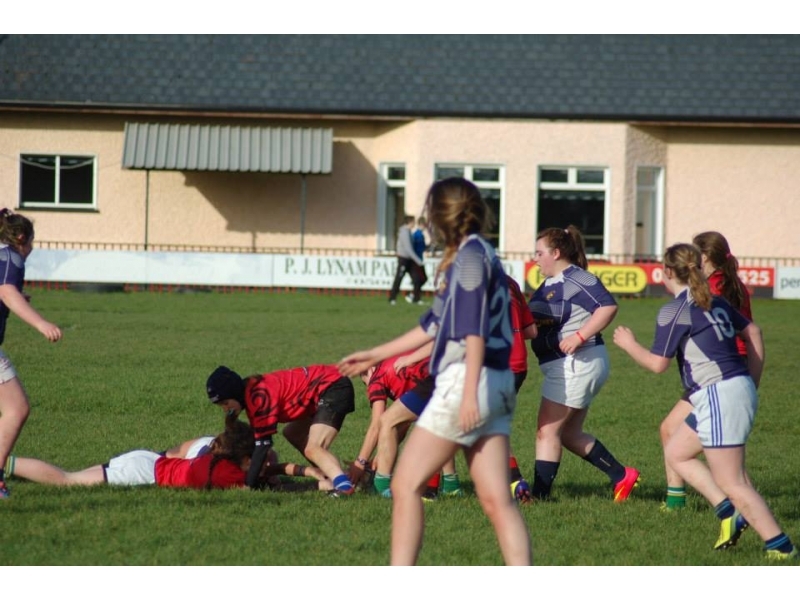 Tullamore continued where they left off in the 1st half with a few early tries from Phoebe Ravenhill Rosie Kelly and Kate Fox Tullamore made plenty of switches in the 2nd half but the effort never faltered. 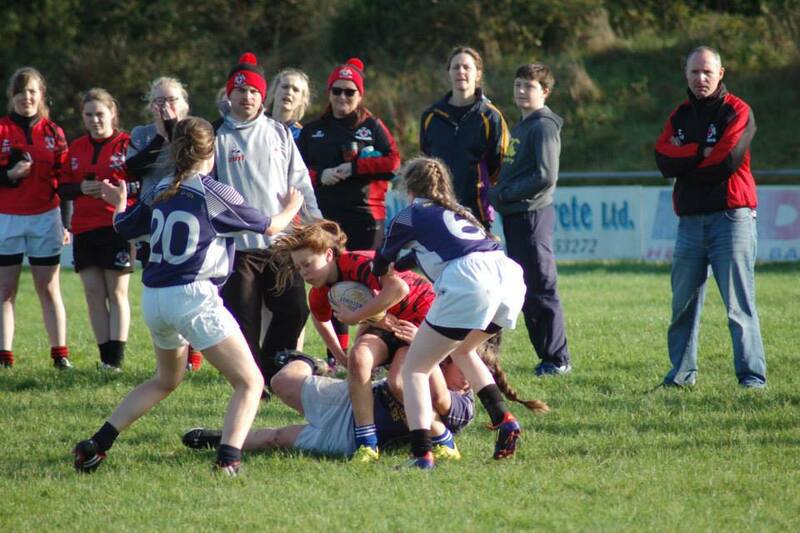 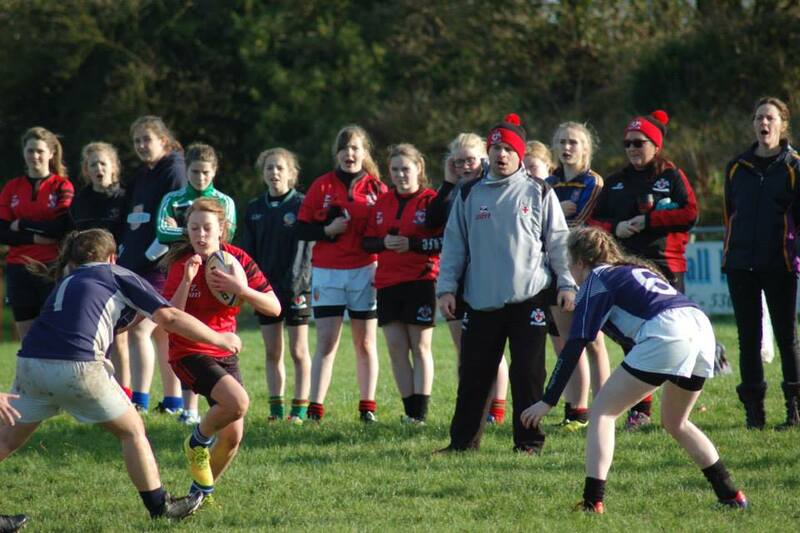 Tullamores defensive effort deserves massive credit as the girls defensive line was not breached until minutes before the final whistle when Portlaoise crossed for 2 well deserved tries. 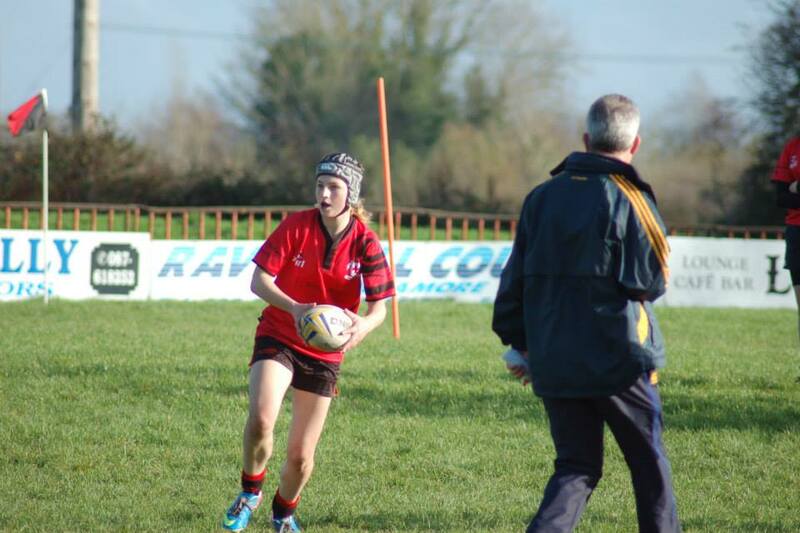 Phoebe Ravenhill played well up front along with 2nd rows Caoimhe and Muireann Griffin in a pack that did little or nothing wrong all day. 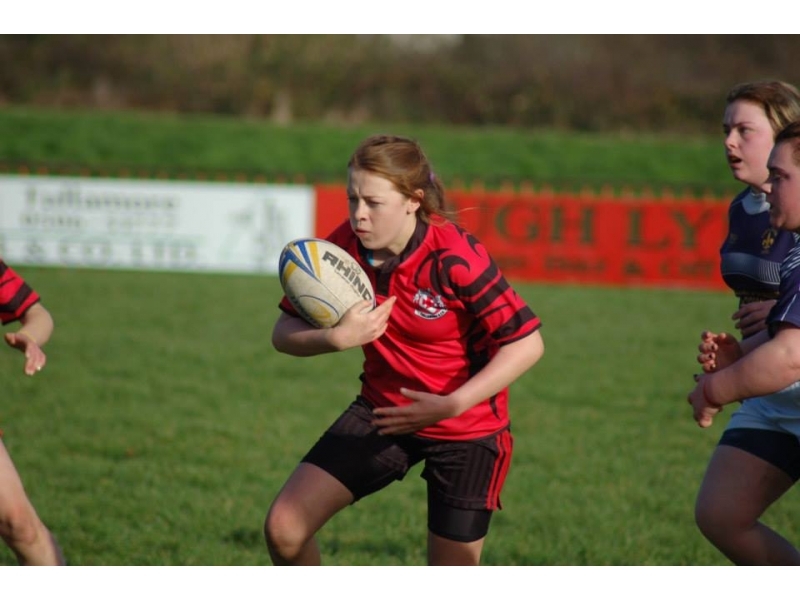 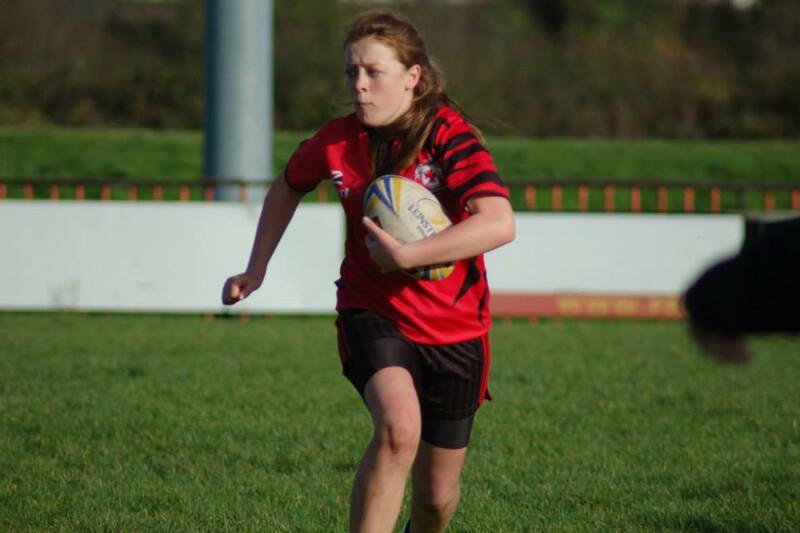 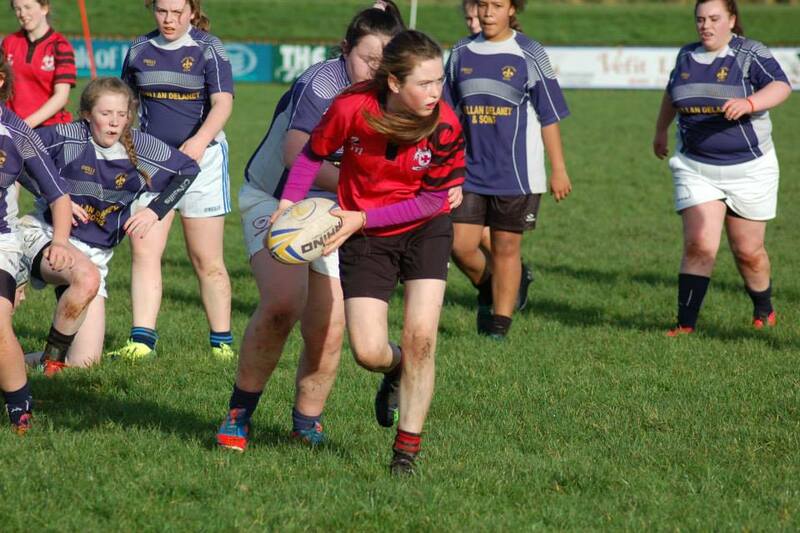 In the backline Burns, Fox, Milner and Walshe were superb with Jane Waters the stand out player at scrum half, her distribution and tackling was fantastic and was player of the game. 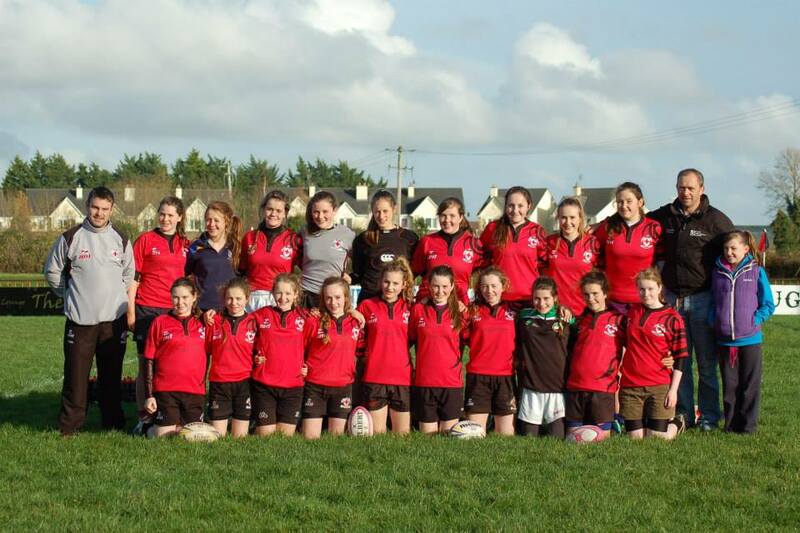 Thanks to all the supporters who came. 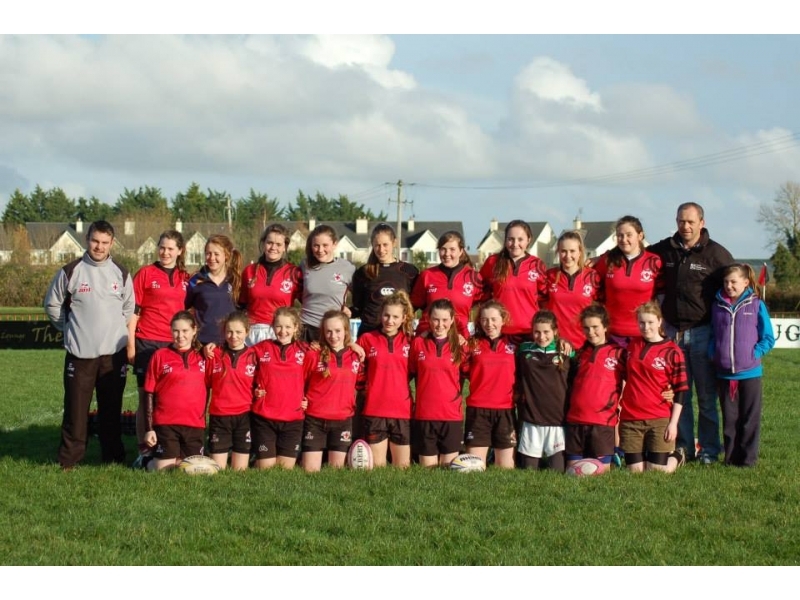 Well done to all the u15s squad involved.